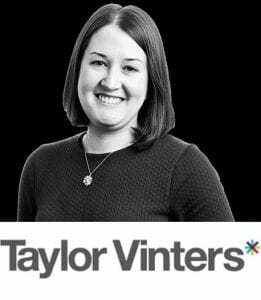 We caught up with Alix Balfe-Skinner, HR Manager at leading global law firm Taylor Vinters. Alix talks exclusively to The Lawyer Portal about the decision-making process involved in choosing a law firm that’s right for you, reading up on different law firms and how to get ahead of the game. Applying for training contracts is a minefield. Where do you even start? In my view, there are two keys stages to the process of securing a training contract and ultimately it is all about you. Understanding yourself, your drivers, motivators and what you want. Selling yourself and standing out from the crowd. Before you even consider where you might apply you need to get under your own skin. I would start by asking yourself a few questions. Where do I want to live and work? What kind of environment and culture would I like to work in? Are there any areas of law or industries that I am more interested in than others? When considering location I expect many of you will say ‘London,’ but don’t forget some of the leading law firms, such as Taylor Vinters, have headquarters or have substantial offices in some of England’s most exciting cities outside of London such as Cambridge, Bristol, Manchester and Milton Keynes (to name a few). These cities are rich in exciting and interesting work and many firms in these locations also have an office in London. They say culture is king so consider your personal values. Every law firm has its own subtly different and unique personality. A happy and successful career will flourish if you are in an environment and culture that suits you. Some firms are formal, others more relaxed. Some are hierarchical and others very flat in structure. At this stage I would stay open minded, read and absorb everything. Your university career service will have lots of information and insight into law firms they are in contact with. Most importantly the internet is the ultimate hub of information. 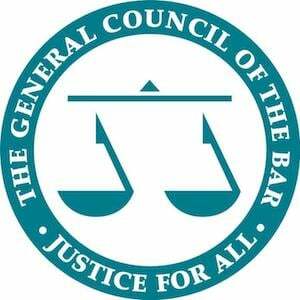 There are a few leading sources each offering something slightly different including The Lawyer Portal – a new and exciting online platform designed to share information on a legal career from school age upwards. Working with law firms and educational establishments The Lawyer Portal covers all routes to law – not just the traditional training contract route. Love them or hate them, careers fairs offer a wealth of information (and freebies) as well as access to trainees, lawyers and graduate recruiters so you can ask those burning questions. Start attending in your first year to gather information and to see all the opportunities that are out there. Before the law fair get hold of the list of the firms attending and following all your previous research make note of the firms you want to see. For each firm think about what you want to know more about. It might be about how trainees are allocated to teams within the firm (seats) or the seats available. Alternatively, you might want to ask a trainee or lawyer what they have found is the most exciting piece of work they have done so you can get an insight into the type of work the firm does and the level of responsibility and input that individual had. Remember that the trainees and lawyers you are speaking to have already gone through the process you are just starting to embark on and most are there because they want to inspire the future generation to work at their firm. Once you have completed your research you can narrow down the firms you want to apply to. Read my article, Top Tips to Help You Secure a Training Contract, to find information on mastering application forms, assessments and interviews. For more information on training contracts at Taylor Vinters please visit their website or email Alix at alix.balfe-skinner@taylorvinters.com or call her on 01223 225148.